Site admins just PM'ed to say one of my posts was PROBABLY going to be named POTY but I would have to agree to an interview and a major photo shoot. I said probably is no good and took a pass. Thanks anyway! I would have been a cert only I probably steal other people's jokes too much. I hereby declare RaM Foot.ie's Trump Superfan Of The Year. All hail the Cheeto God! Sanders is the first to win a presidential primary ever. Goldwater was a Methodist or something. I don't think Sanders is religious at all. But again, he would not have won the Presidency. I think he would have won easily. 13 point lead, 8 better than Hillary he would have got a landslide, the Democrats were nuts not to back him and they got what they deserved. You're not taking into account the things that would have come out if he had won the nomination tricky. Those polls are meaningless. It would be like saying the polls prior to Comey reopening the investigation into Hillary are the ones to go by! Why cant you guys understand that? They had lots of stuff to throw at Sanders. His wife bankrupting that college is just the tip of the iceberg. A guy that age being a senator that long? VERY possible he could have had one or two women coming out with accusations as well. Also he bought that third property, a vacation mansion. Wouldn't have played well with his base. ETC ETC ETC. A poll form May 10th 2016 is meaningless. They had a binder on Sanders they never used. Do you know any of the things in the binder for Corey Booker right now? Of course not. IF he gets the nomination next time around it will change things. CNN skipping the WH Christmas party. Aww. That one "reporter" is never going to get her Pecan Pie now. No, BC of stuff like this today as he came down the stretch if he would have been the nom. Last edited by dahamsta; 01/12/2017 at 12:54 PM. Such as? That he has a load of murdered children buried under his patio? 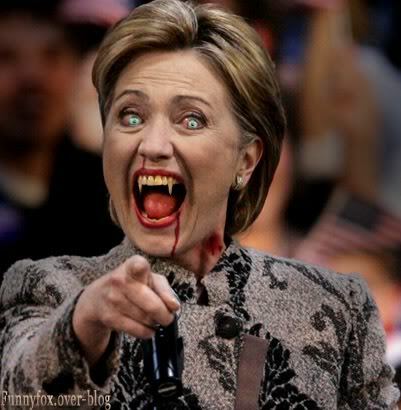 many votes as Hillary (who is the devil incarnate btw!!). I do not understand that, can you explain in your own words what the problem is? he was a saint in comparison. He would have won easilly and the democrat party conspired against him plus all the stuff mention was widely known at the time of the poll. A guy that age being a senator that long? VERY possible he could have had one or two women coming out with accusations as well. What is such speculation based on? Sanders has a lifelong reputation built on supporting and sponsoring Women's rights and the fight against sexual assault. Yet you seem happy to speculate about the possibility that "one or two" women may have made allegations against him based on a dumb essay he wrote 45 years ago. Wasn't he attacking 1970s gender stereotypes by satirising how patriarchal society framed and portrayed women's sexuality? He wasn't personally advocating violence against women or saying that women secretly wanted to be raped. He was attacking men's attraction to narratives or notions - such as "she must have wanted it" - that downplayed or "justified" abuse. "It was a poorly written article dealing with gender stereotypes of the period, in the sense that a lot of men have the feel to be all powerful and controlling. Women have the feeling they have to be dependent. It was very poorly written in a way I certainly would not write it now. But if you read it, what you find is that is a bad situation for both people: women shouldn’t be dependent. Men should not be oppressors. We want a society where people are equal. That was about it was about." I think you've read the "offending paragraph" as a literal rendering of Sanders' personal views - which it isn't - so the actual point of the essay obviously went right over your head. That this essay was disingenuously framed by those hostile to Sanders as a blemish on his character is pure bogus perception management and you appear to have fallen for it, hook, line and sinker. Even if that paragraph was Sanders' personal thinking at the time, it's hardly justification for your borderline-defamatory conjecture that it's "VERY possible" he might have sexually abused multiple women, is it? What else is there to add weight to your silly comment, seeing as you said that essay is merely where you "would start"? Actually MSNBC's (far left) Joy Reid brought that up today in a give and take with Jane Sanders on Twitter. Ha, MSNBC is not "far-left". Anyway, I've no idea what Reid said, so what's your point? It's still baloney. Well that it is a prominent black female democrat who thinks Sanders is "dismissive of women around him, including his wife." I think other females might feel the same. Last edited by KrisLetang; 30/11/2017 at 7:31 PM. Dismissive ? That all you got? Anything else? Let's be clear: you are insinuating that Sanders probably would have had 2 or 3 women come out with "accusations" based on a 45 year old essay and "dismissive"
I'm not even sure it's left on the political spectrum. Maybe less right or more centrist than other mainstream media in the US would be a better way of putting it. Maddow might be socially liberal, but she's a hawkish fiscal conservative. Other females like who? Like Sanders' wife? She strongly rubbished Reid's contention and she's got first-hand experience of the man in question. Anyway, even if he has been "dismissive" of women - I don't know enough about his personal life to know, so feel free to elaborate with evidence - it's still no justification for your ludicrous abuse insinuation. And what exactly is meant by "dismissive" here anyway? What's it in reference to? Last edited by DannyInvincible; 01/12/2017 at 4:19 AM. One of the trolls from this thread actually thought it would be funny to try to troll me personally, so they've been banned. Since only they and one other person cared about this thread, and then only for trolling and/or feeding their idiocy, this thread is going the same way. All future discussion of the Idiocracy will be fact-based.